The couple that plays together, also brings much happiness to others in the case of Warren and Joan Harvey. The couple that plays together, also brings much happiness to others in the case of Warren and Joan Harvey. The musicians met when they began performing music together more than four decades ago, but only married in 2010. Nowadays, they are famous in the St. John Valley for providing entertainment free of charge to folks at multiple assisted-living centers. They first became friends in the 1970s when Joan’s band, The Dynamics, was seeking a new guitar player. “We tried him and we kept him,” Joan said. Warren, 66, and Joan, 74, both grew up on potato farms; he in St. Francis and she in Frenchville. Each has had a lifelong love of music. “In my case, as far as music goes, I started with a couple friends next door to me. We just started jamming. I bought my first organ when I was 11 years old and we played school dances back then,” Warren said. Warren is a Vietnam veteran who spent some time in college before being drafted into the United States Army. 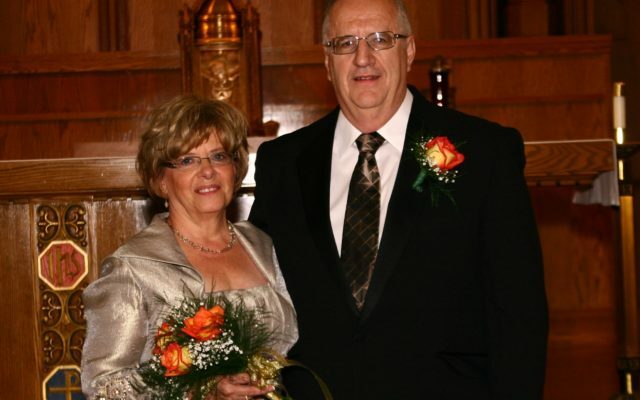 After the war he worked for a local wholesale grocer before he opened Radio Shack stores in Fort Kent and Madawaska, which he owned for 31 years. Joan worked as a telephone operator in Fort Kent, and later went back to college at the University of Maine at Fort Kent, where she earned an associate’s degree in business. She then worked as a hospital receptionist at Northern Maine Medical Center for 22 years. The Dynamics, now consisting of just Warren and Joan, regularly entertain residents at the Eagle Lake Nursing Home, Crosswinds Residential Care, Forest Hill Skilled Rehab and Nursing Center, St. Joseph’s Memory Care, Ridgewood Estates and Country Estates. Alzheimer’s disease is something which has played a significant role in Warren’s life. “My first wife passed away of Alzheimer’s at 58 years old,” he said. “That disease is not very nice,” Joan added. Warren and Joan have six adult children between them, many of whom are also musicians. The couple has a long history of community service. Warren has been the Grand Knight for the Fort Kent Knights of Columbus for the past nine years. Joan is a Columbiette and a member of the Ladies of St. Anne. The couple teaches a highly popular line dancing class at the Fort Kent Senior College. They also perform at the annual University of Maine at Fort Kent Sucrerie and are instrumental to the annual Fiddlers Jamboree at UMFK, for which Warren serves as emcee and organizer, and Joan accompanies other musicians on piano. Although decades of friendship preceded their becoming a couple, the Harveys say it was a common passion which ultimately ignited their love for one another. “I guess the music brought us together,” Joan said.